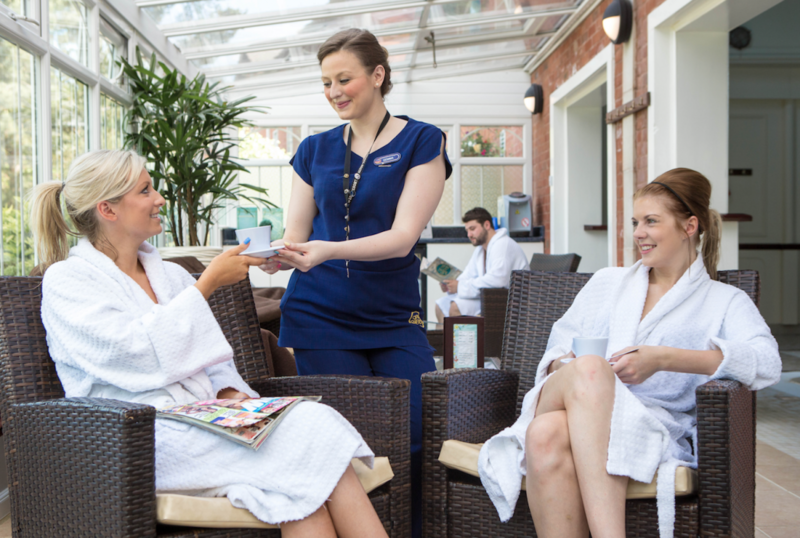 WIN A SPA DAY AND BREAK AT THE ALTON TOWERS RESORT! an overnight spa break. Indulge yourself in luxurious tranquillity inside the Alton Towers Hotel – it’s the perfect place to let your cares drift away. Offering a wide variety of treatments from leading brand Germaine de Capuccini, the Alton Towers Spa has something for everyone. The Aqua Relaxation Rooms offer a pool, crystal steam room, meditation room and Roman sauna. One lucky reader and up to three friends will receive a pamper day package worth over £400. This includes six hours in the grand Aqua Relaxation Rooms, a delicious two-course lunch and either a Traditional Full Body Massage or a Prescriptive Facial. In the evening you’ll be treated to a fun and unique experience in the new Rollercoaster Restaurant, where you can watch your order tackle two gravity-defying loop-the-loops as it makes its way to your table. Two lucky runners up will also each win family theme park tickets worth £175 each. Terms and conditions: The prize is subject to availability and is valid until 16th October 2016. Break includes an overnight stay in one standard room or the Dreamy room room for up to 4 adults in the Alton Towers Hotel with breakfast. The Spa package includes six hours in the Aqua Relaxation Rooms, two course lunch and either a Traditional Full Body Massage or a Prescriptive Facial.. Over 16’s only. Have been to other spas but not this one yet – my friend and would love this for our families to catch up and be pampered. I would love to be a winner in this…not actually just for myself but for one of my best friends who leads such a hectic life with 4 young kids who could do with a bit of “her “time! Sounds a wonderful and amazing prize. Good luck everyone. love to win this great prize. Fab prize would love to win this!!! Looks good and will make you feel good too. Great prize. If you think life is full of ups and downs – you haven’t seen Alton Towers! Going through a really tough time caring for my mum who is very unwell. This could be the tonic for both of us. Great prize! A wonderful break! Could really do with a break like this. HI,sure would be great to win this lovely prize. Never been yet but I’d like to! My god, this is so wounderfull, thank you for giving me the chance to enter this great comp. Would love to answer question, but where is it. Wow, this will do for me !! This looks absolutely amazing! Always loved Alton Towers and I yet to try out their spa days.. Luxurious treats. A proper massage.Great.My husband is always,,rubbing me up,,the wrong way. Yes please would be amazing ! Ah I want to go!! Please!! Looks great. Thank you for the opportunity. Love to take hubby of 51 years – what a fab treat! What a fabulous prize to win! A spa break and a rollercoaster restaurant what more could I want. Great prize, fingers crossed. Feel more relaxed just thinking about it. Great prize ! I know someone who’d love this ! I would love to win this fabulous prize. A very special fun prize . Something for everyone . Fingers crossed !!! A spa day would help as they keep finding new problems with my body and I’m getting angry that nothing seems to be going well!! Would love this for me and my partner! We’re planning our wedding and could use some time to relax and unwind…. Can’t beat a bit of pampering! What a super prize ! Yes please. Would be great. This is just what the dr ordered! First holiday together was Alton Towers and this year we have been married 30 years – what a treat this would be! Now that sounds like something I could really do with! Bag is packed – just waiting for confirmation! Trying not to get in a spin thinking about it. Relaxation and great dining would be perfect. I could do with a bit of pampering – ooh bliss! Never been-would really enjoy it there! This would be great to win. This would be a dream come true. Such a wonderful giveaway. Good luck to everyone. I would be pampered and stress free after trying to get work after my degree ! This prize sounds amazing – hope I win! Would enjoy this prize immensely. I would have lots of friends with a prize like this on offer, but I know exactly which 3 wonderful friends I would take, all of whom helped me through illness last year, without hesitation. What an amazing way to say thank you to them all. I can’t even explain how much I would love this. To relax and have fun with my Fiance on a wonderful break would be out of this world! What a fantastic treat this would be! What a treat! Would really enjoy this with my daughter. Wow! An amazing prize! Would love to treat the boyfriend to a break away! This would be the ultimate treat! This would be amazing…I’ve not been to Alton Towers since my parents took me when I was a child and that’s many, many years ago! Grand kids will love this. I would love to win – would be favourite grandparent alright! I’ve always loved Alton Towers – there really is something for everyone there! Have just moved house on my own and this would be a great “recovery” break! Not keen on theme parks and rides, but pampering sounds great. keeping my fingers crossed for this one!! I would love this treat! This Jsust what the doctor ordered.